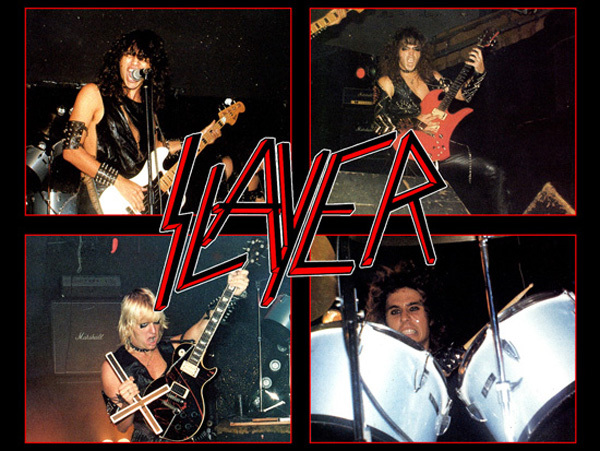 Slayer was formed in 1982 in Huntington Beach, CA, by guitarists Kerry King and Jeff Hanneman; also recruited were bassist/vocalist Tom Araya and drummer Dave Lombardo. 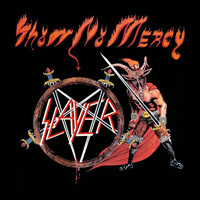 The band started out playing covers of Judas Priest and Iron Maiden songs, but quickly discovered that they could get attention (and fans) by exploiting threatening, satanic imagery. 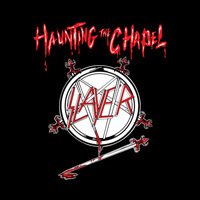 The band was invited by Metal Blade’s Brian Slagel to contribute a track to the Metal Massacre, Vol. 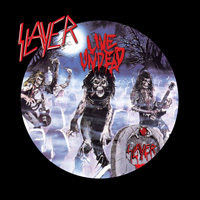 3 compilation (a series that also saw the vinyl debuts of Metallica and Voivod); a contract and debut album, Show No Mercy, followed shortly thereafter. 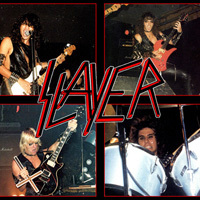 While Slayer‘s early approach was rather cartoonish, their breakneck speed and instrumental prowess were still highly evident. 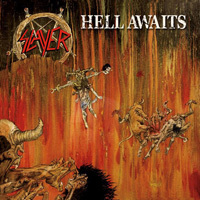 Two EPs, Haunting the Chapel and Live Undead, were released in 1984, but 1985′s Hell Awaits refined their lyrical obsessions into a sort of concept album about damnation and torture and made an immediate sensation in heavy metal circles, winning Slayer a rabid cult following.